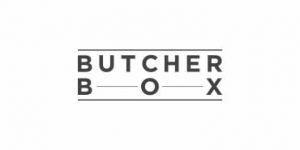 Chicago Steak Company and ButcherBox are designed to take the stress out of meal planning and this Chicago Steak Company VS ButcherBox comparison is designed to make it much easier to choose between them. Get a comprehensive overview of these companies’ crucial features and scroll down to discover the definite winner of the comparison. If you want to enjoy the best steaks in all of America (the top 2%), Chicago Steak Company is the right choice for you. Served in 5-star restaurants and steakhouses, its steaks are of the highest quality, just like its heritage pork and all-natural chicken. Order subscription-free or join a steak club. As its name suggests, Chicago Steak Company primarily focuses on USDA Choice and USDA Prime beefsteaks. Its offer also includes pork and chicken. You can opt for Angus beef, dry-aged and wet-aged steaks, American Wagyu, pork chops, roasts, ribs, ham, marinated chicken breasts, and other gourmet delights. Chicago Steak Company offers the highest-grade beef, hand-selected and hand-cut, as well as premium Kurobuta pork and free-range turkey and chicken. Extras available in the Chicago Steak Company online shop include fresh fish and seafood, decadent desserts, and assortments of gourmet treats. Chicago Steak Company only sources Midwest-raised heritage cattle, sustainably grown and completely natural, adhering to the highest quality standards. Its seafood is freshly caught by local fishermen. Chicago Steak Company lets you choose between one-off orders and subscriptions. There is no minimum value for one-off orders. The subscriptions are designed as gift clubs. If you subscribe, you agree to receive recurring shipments for 6 or 12 months. Chicago Steak Company offers a satisfaction guarantee. If there is something wrong with your shipment, you can request a refund, but keep in mind that authorized returns may be required. Chicago Steak Company only offers free shipping with subscriptions. With one-off orders, shipping costs amount to $19.99 - $59.99, depending on order value, desired shipping method, and location. Chicago Steak Company ships to all 50 US states. The. best. steaks. ever. Nothing to add, it's what I dream about when I'm eating veg. I'm not filthy rich so I only shop at CSC a couple of times a year. They sure work hard to make everything perfect, but the prices are too high. It's not that I'm cheap, I'm just not made of money, so I just treat myself to a couple of steaks every once in a while, because they really are good.